Have you been searching for the perfect pair of work boots? It's a pretty hard decision to make, right? It seems impossible to find a pair of men's boots that are comfortable, durable, supportive, and protective. If you want to make sure that all of your needs are ... (see full details) (see specifications) #16287. Have you been searching for the perfect pair of work boots? It's a pretty hard decision to make, right? It seems impossible to find a pair of men's boots that are comfortable, durable, supportive, and protective. If you want to make sure that all of your needs are met, let Working Person’s Store give you a hand. These Danner Men's 16287 Brown 8-Inch Workman Waterproof EH Alloy Toe Work Boots are constructed with the protection and cushioning your feet need. Their interiors are carefully designed and will support your feet for long hours on the job. Better yet, these Workman brown boots are super durable and will protect your feet from possible hazards on the job, like electrical hazards and rainy work days. It really couldn’t get much better than these Danner work boots. It’s all in their build! These Danner Workman alloy toe boots are constructed with waterproof oiled full-grain leather uppers that are ready for a challenge. This all-natural leather is known for lasting through tough wears. The waterproof finish ensures that your feet are protected from Earth’s elements. These Danner 8-inch leather boots are also constructed with a low-lug Vibram Workman outsole that provides rugged durability and all-day comfort. Plus. This outsole gives you superior grip on wet, slippery terrain. This Danner footwear is built to weigh 62 ounces, which is 13% lighter than its predecessor. You really can’t ask for a better construction than this. This Workman footwear is designed to give your feet exceptional support and protection. They feature an 100% waterproof Gore-Tex liner that's engineered to fight against the elements. This liner is extremely breathable and will keep water from entering the interiors. This ensures that your feet stay dry and comfortable on the job. This pair also features a lightweight Bi Fit board that provides extra cushioning for you heel and allows for more flexibility in the forefoot. Trust us, your feet will love these Danner work boots. These Danner men’s brown boots are built 8 inches in height and provide your feet with full coverage. These alloy toe EH boots are constructed with an alloy toe design that protects your feet from potential danger on the job site. The men's footwear exceeds ASTM F2413-11 M I/75 C/75 EH standards, providing you with a level of electrical hazard protection around some open circuits. Now let’s take a look at how these Danner men’s brown alloy toe boots are going to feel on your feet. They're designed to be worn by all foot shapes and sizes. The heels offer a snug fit while the toe area offers plenty of toe room. These waterproof boots are constructed with an all-new Vibram SPE midsole that offers superior comfort. This midsole enhances rebound and provides a bed of support for your feet. When you order these Danner 8-Inch workman waterproof EH boots, you can feel confident that they're going to last. The full-grain leather is very durable and will last a long, long time. This leather resists scuffs and it easy to clean and care for. Own the best by ordering a pair of these Danner Men's 16287 Brown 8-Inch Workman Waterproof EH Alloy Toe Work Boots from Working Person’s Store today! 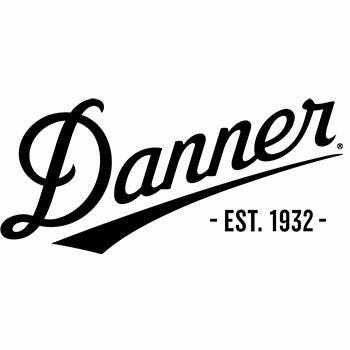 Danner Boots: Men's 16287 Waterproof EH Alloy Toe Brown 8-Inch Workman Work Boots is being added to your cart.